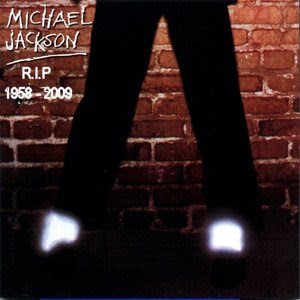 Just heard news that Michael Jackson has died. I've always been a fan ofhis music and the news is really sad, a legend has gone. "Merseyside Police are within months of setting up the country's first system that recognises suspected criminals and terrorists from CCTV footage. The 'facial mapping' scheme will enable officers to identify wanted criminals within minutes of being caught on tape. It will compare photos from a digital mugshot database with film and stills from a crime scene and come up with around ten of the closest matches. To build up its mugshot database, Merseyside Police – which is running the pilot scheme along with Lancashire Police and West Yorkshire Police – is taking digital photographs of 70,000 suspects arrested in Liverpool every year. These include those accused of minor crimes such as motoring offences and the images will be retained even if they are not charged with any offence." "Dramatic footage has been released of two women protesters being bundled to the ground after asking a policeman for his identification number. The video shows one of the climate change protesters being held by the throat by a police officer. The footage shot by police, who were policing the protest at the Kingsnorth power station in Kent last August, has been handed to the Independent Police Complaints Commission, according to the protesters." A group of lads from Parbrook Road in Huyton took part in a sponsored bike ride to Wigan today in support of a neighbour in need. They planned to ride the 16 miles from Huyton to the JJB stadium in Wigan. After a 3 hour ride, the lads succesfully accomplished their feat, but not without a mishap or two along the way. Here's a short clip of one of the lads taking a nasty tumble.